Earning Japan Airlines miles continues to be a difficult task, primarily as a result of a lack of transferable point partners and co-branded credit cards. With that said, if you can find a way to earn Japan Airlines miles, you’ll be in for a treat in terms of the opportunities for redemptions. First National Bank of Omaha is the Japan Airlines co-branded partner, and neither the bank nor the airline makes this credit card product interesting. The card lacks a material sign-up bonus, and the earning rates are abysmal. What this means is that you should look elsewhere to earn Japan Airlines miles. An efficient way to earn Japan Airlines miles is to sign up for a Marriott. Earning Marriott points is ideal because you’ll receive a 5,000-point bonus for every 60,000 Marriott points that you transfer directly to an airline partner, such as Japan Airlines. Hotels like Hilton and Hyatt typically have horrendous transfer ratios, and thus yield bad value. As you might have concluded, transferring hotel points in this way is not a route we recommend. The only reason to transfer points from a hotel program to Japan Airlines is if you’re either in a bind or are looking to top off an account for a specific redemption. Similar to South Korean-based Korean Air, Japan Airlines operates out of two major airports. In Japan, Japan Airlines and ANA are the two major airlines that operate out of the Narita and Haneda airports. While ANA is a member of the Star Alliance, joining the likes of United Airlines, Japan Airlines is a member of the Oneworld Alliance joining U.S. partner American Airlines. As you’ll find out, Japan Airlines is continuously at the top of the heap when it comes to both its customer service and airline experience. It’s just hard to beat flying a long haul Japan Airlines flight in business or first class! Elite status in the Japan Airlines Mileage Bank program can be useful if you find yourself flying the airline regularly. In addition to earning FLY ON points for your elite status, flyers also earn Japan Airlines miles on each flight. Those miles can then be redeemed for both Japan Airlines and partner airline flights. If you’re not into redeeming miles for free flights, you also have the option to redeem your miles for things like coupons or tours. Bottom Line: To sum up, the Mileage Bank program is perfect for those who would receive value by flying Japan Airlines or the Oneworld Alliance network. What’s great about nearly all frequent flyer program is the fact that program membership is free. Mileage Bank membership is great because it not only offers you the ability to earn miles but also to redeem them for a free flight. Head to the Japan Airlines Americas region page where all you’ll need is your membership number and 6-digit pin to log in to your account. Japan Airlines login screen. Image courtesy of jal.co.jp. Hot Tip: Japan Airlines requires you to log in to search for award flights, unlike the United Airlines website that requires no log in. Japan Airlines miles are valid until the last day of the 36th month after the completion of your flight. For example, if you fly on February 15, 2019, your Japan Airlines miles will be valid until January 31, 2022. Japan Airlines Elite Status. Image courtesy of jal.co.jp..
Japan Airlines is unique relative to comparable airlines in that it offers two elite programs: JAL Mileage Bank and JAL Global Club. A member is only eligible for Global Club after the member reaches the Sapphire or Diamond Mileage Bank level. Members in the Mileage Bank program who earn Sapphire or Diamond status may be invited to what’s called Global Club. This club rewards elite members with gifts and the use of exclusive lounges at airports and hotels. Bottom Line: The elite benefits in the Mileage Bank program can be useful if you regularly fly Japan Airlines and/or Oneworld Alliance flights. Japan Airlines awards its most frequent travelers with bonus miles and no blackout dates for award tickets. When you’re determining if elite status makes sense for you, simply ask yourself if the benefits that you’ll earn are of value. If Japan Airlines status is right for you, I’d focus on earning the Premier and possibly the Diamond tier to open up the benefits at those levels. Bottom Line: To sum up, you won’t find systemwide upgrades at the top tier, but you will find the ability to have no blackout dates on award tickets and earn bonus miles. 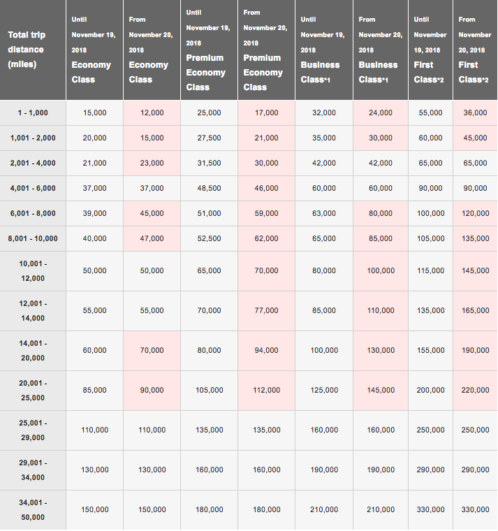 Japan Airlines Elite Status Qualification. Image courtesy of jal.co.jp. Japan Airlines uses a point or segment qualification to determine how to earn one of its elite tiers. Unlike some frequent flyer programs, Japan Airlines doesn’t offer an avenue to earn elite status through credit card spend. Bottom Line: The only way to earn elite status with Japan Airlines is to fly a certain number of miles or flight segments. What’s challenging about earning Japan Airlines miles, relative to other award programs, is the lack of transferable point partners. The one partner Japan Airlines does have is Marriott Bonvoy, and it’s the primary way to earn Japan Airlines miles without flying. The miles that you earn are based on the mileage of each sector(s) that you travel and on the booking class of the fare of the purchased ticket. Japan Mileage Bank uses IATA (International Air Transport Association) to calculate the mileage of your segment. For the booking class, simply refer to the Accumulation Rates page of the corresponding flight to the one that you booked. If you book a partner flight, check out the rates on the Partner Airline page to see what you’ll earn for your flight. Oneworld Alliance member airlines. 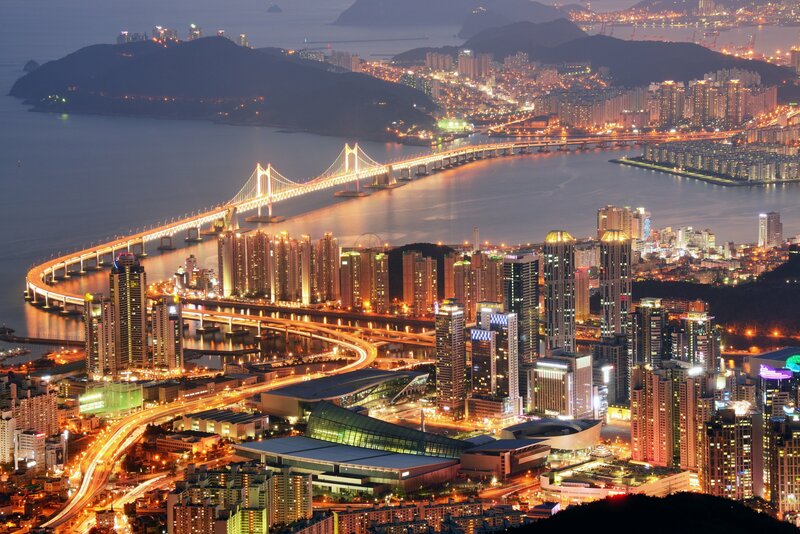 Image courtesy of oneworld.com. 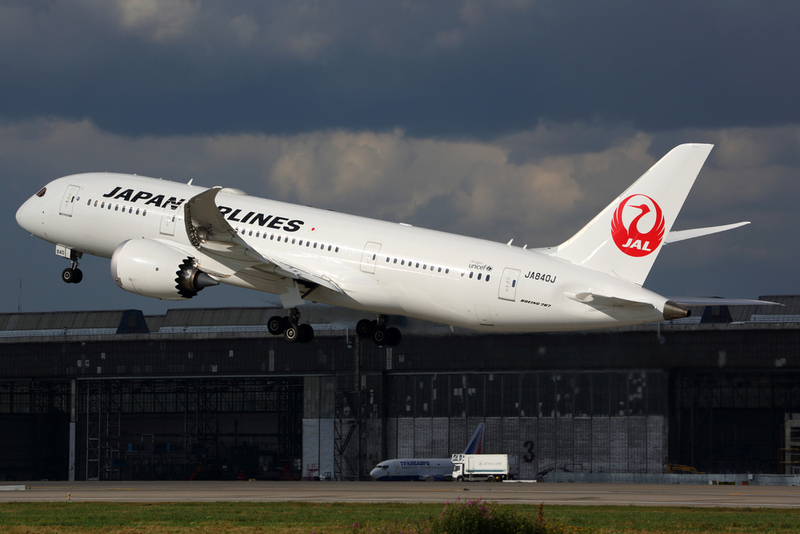 Japan Airlines also has partnerships with airlines outside of the Oneworld Alliance like Alaska Airlines. Head to the Partner Airline page to see the earning rates for airlines that fit within this bucket. The Japan Airlines credit card doesn’t offer top tier earning rates or a compelling sign-up bonus so focus your efforts on other credit cards. Marriott credit cards are the best way to earn miles quickly and on an ongoing basis due to the sign-up bonus and earning rates for its products. With Marriott credit card transfers to Japan Airlines, you’ll receive a 5,000-point bonus for every 60,000 points that you transfer, so keep that in mind. As noted above, First National Bank of Omaha offers the co-branded Japan Airlines credit card that you can augment with other credit cards to earn miles. A great way stay on the beat of miles earning opportunities is to follow the Japan Airlines Facebook and Twitter accounts, and also check out the Offers & Promotions Page for potential deals. Another way to earn miles is through the Japan Airlines car rental, hotel partners, or through online or in-store shopping partners. Hot Tip: If you add your airline loyalty program to other services, you typically won’t earn status points with these franchises. For example, this partnership acts as a sort of alliance between the airline and car rental agency. While you can technically redeem Japan Airlines miles for an array of items, it’s best to stick to award flights. The Mileage Bank program uses a number of award charts, but for simplicity, let’s focus on a few. The first chart is the JAL International Award Chart that you’ll use when flying on a Japan Airlines international flight. Japan Airlines International Award Chart with round-trip pricing shown. Image courtesy of jal.co.jp. Another chart that you may use is the Japan Airlines Partner Award Chart. This covers flights like American Airlines from the U.S. to Japan. Japan Airlines Partner Award Chart. Image courtesy of jal.co.jp. If your flight doesn’t fit into either of those buckets, you can find the full list of award charts here. After you’ve located the appropriate award chart to use, it’s helpful to know a few of the important components of the charts. The main item to understand is that award pricing is based on total trip distance. While Japan Airlines has a mileage calculator, Great Circle Mapper is the most intuitive tool to use. Prior to the Japan Airlines award devaluation in 2018, you could find incredible value on certain routes. While that may no longer be the case across the board, sweet spots can always be found if you look closely enough. Hot Tip: If you’re craving more of these high-value opportunities, check out our post covering the best ways to use Japan Airlines miles. As mentioned earlier, Japan Airlines uses a number of award charts: one for Japan Airlines flights, another when flying on a Oneworld partner, and yet another when flying on a non-Oneworld partner. For Oneworld award flights, the Japan Airlines website isn’t the one I’d recommend that you use. Instead, the British Airways or Qantas websites are much more efficient and effective, especially when it comes to showing Oneworld award availability. While it’s true that the Japan Airlines website is difficult, if you can find the flight that you need, you avoid the dreaded phone call booking process. Hot Tip: If you’re looking for an airline partner that’s not listed above or you can’t find award space on the respective website, consider using Expert Flyer. What is the Japan Airlines Mileage Bank program? Is it worth it? What are the benefits? The frequent flyer program of Japan Airlines is called Mileage Bank. 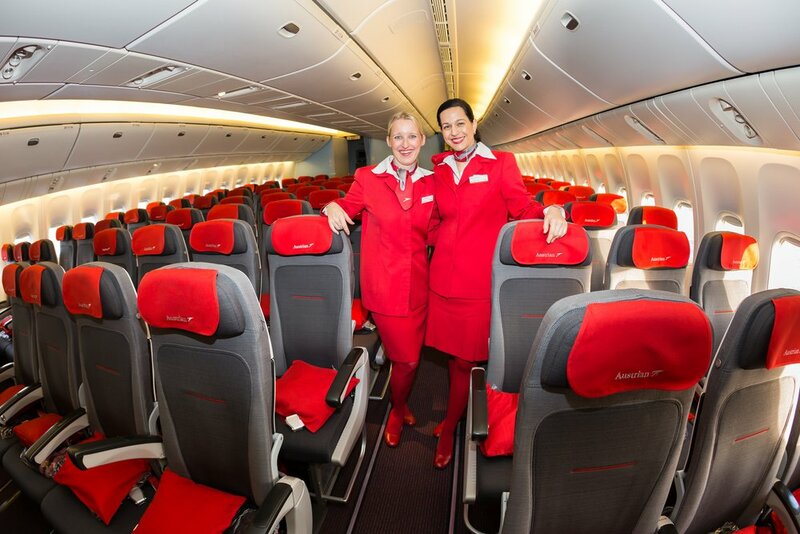 It’s a free program that allows its members to earn miles and elite status, as well as use miles toward an award flight. Elite status is earned by flying a certain number of segments or earning a certain number of points. Japan Airlines elite benefits are comparable to what you’d find with many of the major airlines across the world. Joining the likes of American Airlines, Japan Airlines is a Oneworld Alliance member. What this means is that you can use your miles to not only fly on Japan Airlines flights but also other Oneworld Alliance airline’s flights. In Mileage Bank, who are the partners? Can I transfer miles to them? What’s great about the Mileage Bank program is the fact that there are several travel partners that provide members with the opportunity to either earn or use miles for things other than flying. With respect to earning Japan Airlines miles, you can earn them from flying, credit card spending, car rentals, or hotels. Award flights, lounge access, and upgrades are additional options that members can use their miles for if they choose. While you can’t transfer Japan Airlines miles to an airline partner, you can use Japan Airlines miles to fly on the airline itself or a partner airline. What is the Japan Airlines Mileage Bank login? Access your Japan Airlines account by logging in here. Where can I sign up for Mileage Bank? Membership in the Mileage Bank program is free by completing this application. What is my Mileage Bank number? You can find your Mileage Bank number by signing in to your account, on your membership card, or through a variety of marketing emails they send to you. When do miles post in Mileage Bank? Japan Airline miles will typically post within 7 days after the date of your travel. When do Mileage Bank miles expire? When does Mileage Bank status expire? All elite benefits are available until March 31 of the second year following status qualification. Is there a Japan Airlines credit card? Yes! First Bank of Omaha offers the co-branded Japan Airlines credit card. You can earn miles on this credit card, but there is no sign-up bonus offered. Can you hold an award flight with Japan Airlines? Japan Airlines doesn’t allow you to hold an award flight.